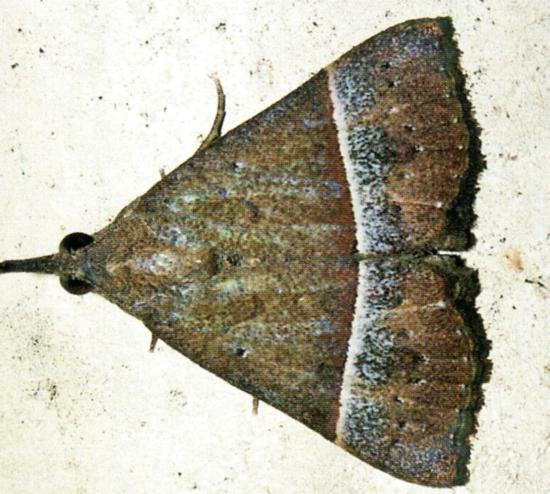 The adult moth has pale brown or grey forewings each with a white line across the middle. The hindwings are plain grey-brown. The moth has long labial palps held straight out in front like a beak. The wingspan is about 3 cms. Volume 56 (1932), p. 187.